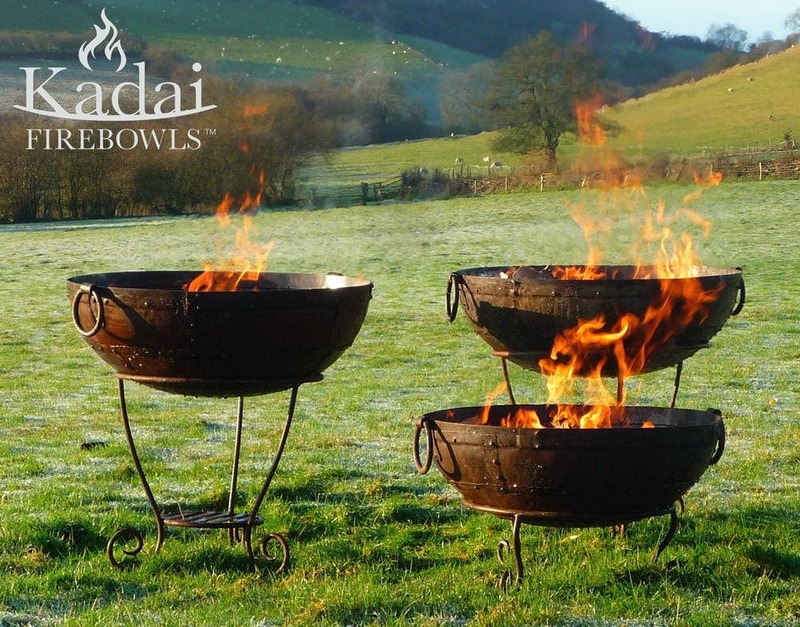 The Recycled Kadai is made in the traditional method with iron plates riveted together for strength and durability to form the perfect fire bowl. 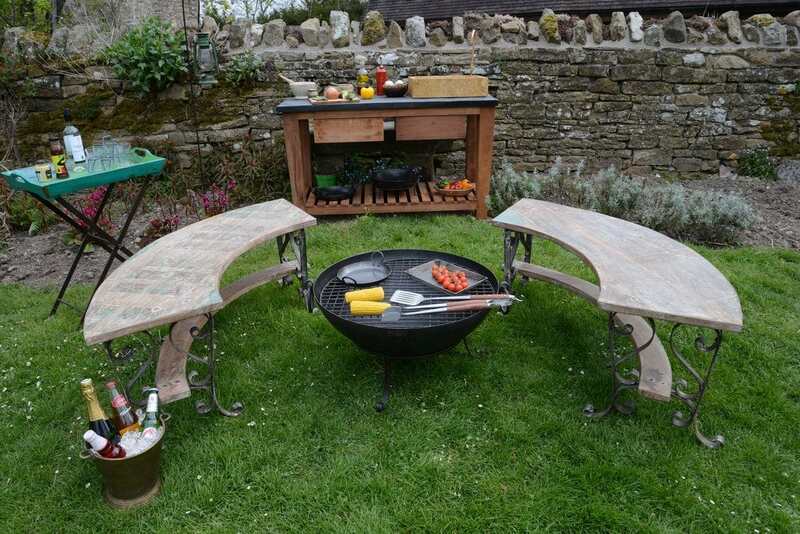 Price includes wrought iron low and high stands, double 4 mm steel grills, forged tongs and wire brush. Designed with practicality in mind it is available in three sizes, 60,70 and 80cm diameters. Wilstone’s unique gauze filter system cleverly separates out the ash from rain water, allowing for a maintenance free barbeque that will last for years outside. 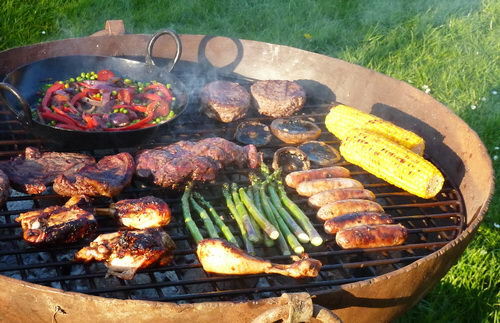 To enable you to use the stand on the high stand when barbecuing and low stand when sitting around the fire after eating. 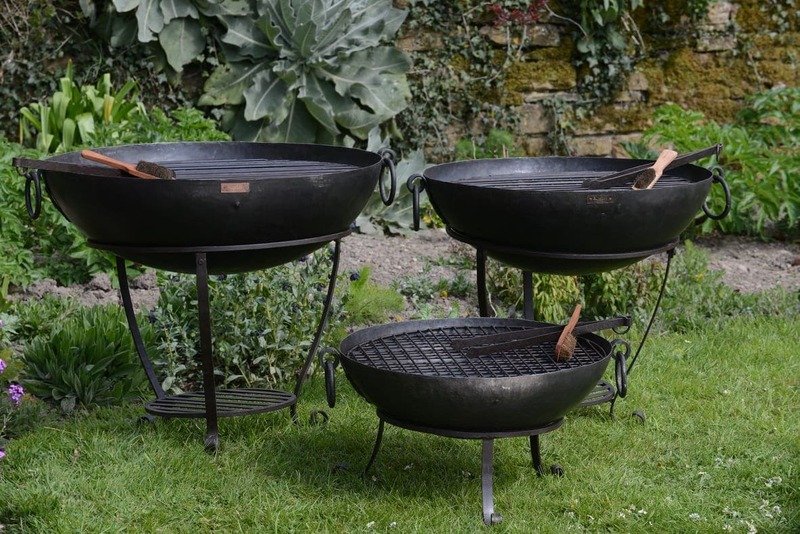 Genuine Recycled Kadai Fire Bowl Sets with High & Low Stands. 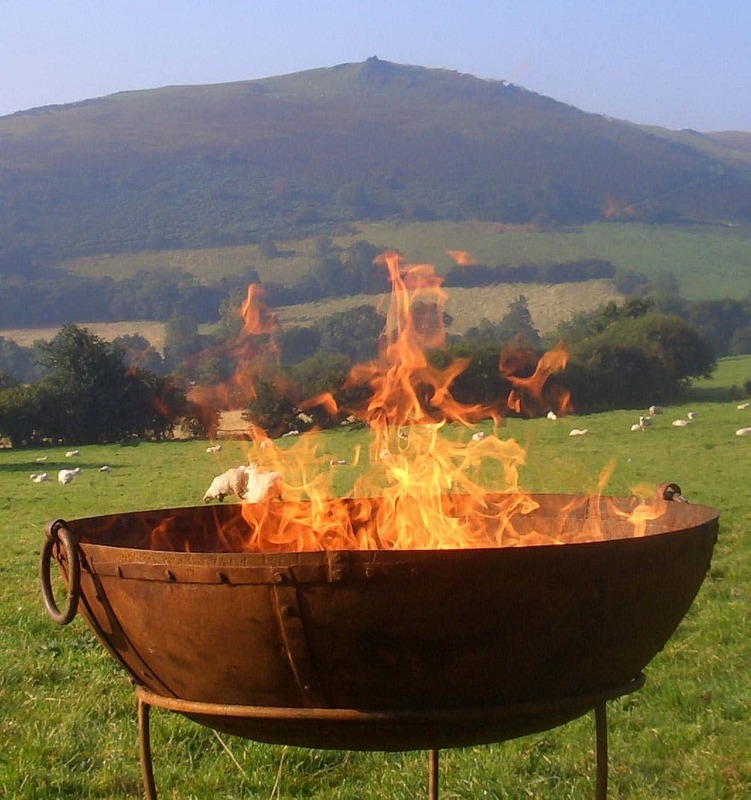 All recycled fire bowls also come with grills, tongs & brush.